The heatwave hitting Britain over the past few weeks has seen temperatures soar to record levels since 1976. Given this glorious sunshine, it’s appropriate to feature the Tompion Sundial, a device to tell the time of day using the position of the Sun in the sky. When a shadow is cast by the gnomon (found in the centre of the dial plate) it aligns with an hour line to indicate the time of day. 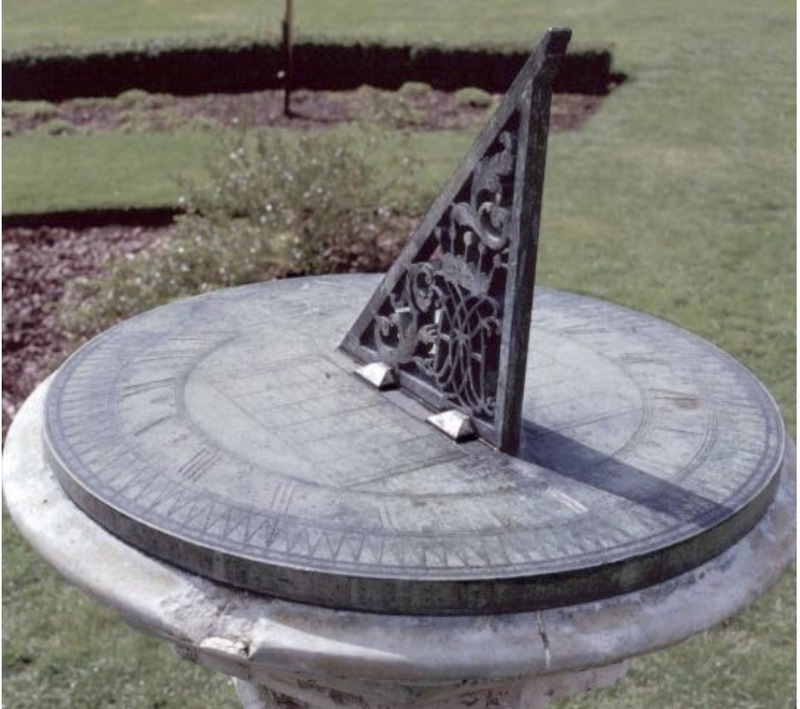 Sundials are almost mythical. Simplistic yet complex in equal forms and a perfect combination of two subjects: mathematics and art. This beautiful Sundial was originally made for Henry Grey, 12th Duke of Kent in circa 1690 and is engraved with an equation of time table, which differentiates the discrepancies between the two types of solar time. ‘Apparent’ solar time directly tracks the diurnal motion of the Sun and ‘mean’ solar time, which tracks a theoretical Sun with noon, 24 hours apart. However, 60 years after this Sundial was created, Parliament passed the Calendar (New Style) Act in 1750, which was made up of two parts. The first reformed England’s calendar so that a new year began on 1st January, rather than 25th March (known as Lady Day). The second part of the Act saw Great Britain abandon the Julian Calendar, first advocated by Julius Caesar in 46 BC and introduced within Roman civilisation from 1st January 45 BC. Instead, the Act adopted the Gregorian calendar, so-named after Pope Gregory XIII, who had introduced it in October 1582. Implementing the Gregorian calendar aligned England with that used on the Continent and it was advanced by 11 days. Wednesday 2nd September 1752 was thereafter followed by Thursday 14th September 1752, meaning that all previous equation of time tables and mechanisms were 11 days out!